Air tool lubricant is designed to increase the drive in air motors, reduce wear, to provide quieter operation in the work place and reduce vibration transferred to the operator. Will not dry out and Impact Guns just keep working. This product is for older (not new & under warranty) power steering systems regardless of type. It will provide more positive response, reduce noise & reduce the tendency to leak, especially in older farming machinery and cars not used regularly. environmental impacts and maintaining “Quick Break” capacity. A Chain Bar Oil that actually works. This oil will lubricate the chain and bar, will reduce the amount of oil used and reduce the wear on the chain and bar. For the assembly of all mechanical components ie Motors, Transmissions, Diffs and Hydraulics, etc. Super Slip is designed to give any oil that extra slipperiness, while at the same time, increasing its film strength. This should enable motors, gear trans and hydraulic components to move more freely using less power, therefore reducing power loss. This will enable that power saving, (3 kilowatts in a gen 3 5.7L V8) to be used driving the vehicles wheels, thus saving fuel. For automatic transmissions and hydraulic systems, add 1% by volume. For all types of engines, add 2%. For manual transmissions and differentials, add 5%. Super Slip is the only additive approved for use with any BIMROSE LUBRICANT. It is the only additive that will not void the warranty expressed by BIMROSE LUBRICANTS. Is very good in locks, rollers and slides. Engine flush-aid is designed to remove sludge & combustion by-products from all diesel engines. This is required in Japanese 4×4 and late model American truck motors fitted with an engine management system, which tends to produce more engine pollutants than exhaust pollutants. Even large diesels fitted with oil centrifuges are not able to extract the large amount of sludge present, most of which adheres to the interior of the motor and it’s components. In testing, we have found that we are removing up to 20-30% more by volume than sumps are supposed to hold, eg., a 10 litre Land Cruiser yielded nearly 13 litres. Reports indicate oil seals must be cleaned up as oil leaks are reduced or removed and there is less crankcase pressurising due to reduction of blow-by. May be used to reduce oil consumption, noise and temperature in all motors, transmissions, diffs, hydraulics and reduction boxes and is very good mixed 50/50 with our 85w140 in trailer hubs doing highway work. Is specifically designed for older model cars as well as a range of late model vehicles requiring Dot 3 over Dot 4 performance brake fluids. Exceeds FMVSS 116, Dot 3 and conforms to the following: Australian Standcard AS/NZS 1960-1995 Grade requirements. Should be replaced every twelve months under average driving conditions. Is an extreme duty brake fluid providing superior boiling point and high vapour lock temperature throughout its service life. Is compatible with all metals and rubber seals typically used in automotive brake and clutch components. Is suitable for all drum, disk and ABS Braking systems in medium and high performance vehicles. Meets or exceeds standards. Is a general purpose soluble cutting fluid that forms a white milky emulsion when mixed with water. For use in medium ferrous and non-ferrous metal applications. Standard mix ratio: 20 parts water to 1 part soluble cutting oil for light to medium applications. Released to the World in 2003 Bimrose Back Rubber Oil has achieved the highest acceptance rate possible. It not only chases Buffalo Flies on cattle, with or without insecticide but is proving so cost effective that people who were very doubtful at first, are now amongst it’s most dedicated users. Imagine if your cattle are standing still eating and putting on weight, they must be worth a lot more than when you weight poor cattle who have been walking around all day trying to chase flies of all types, not just Buffalo Flies. Equally effective on horses with March Flies and the Common Bush Flies. Made to disperse Bimrose Backrubber Oil. Industrial , 150, 220, 320, are industrial gear oils that are blended from high quality virgin oil stocks together with the finest gear oil additives. They have outstanding thermal stability and provide excellent protection against corrosion. 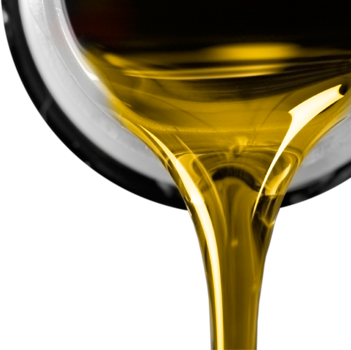 The high quality base oils provide excellent oxidation resistance resulting in extended oil life and reduced oil consumption. lubricant. Minimises stick-slip and chatter. Bimrose Misting Oil- Food Grade is a white mineral oil specially processed and packaged to ensure full compliance with purity standards for use as a processing aid to lubrication oil in food, pharmaceutical and agricultural industries. Special Handling Note: While the inclusion of an FDA approved inhibitor in Bimrose Misting Oil- Food Grade greatly extends shelf life all white oils may darken and develop an odour if exposed to direct sunlight or stored at high temperatures. Accordingly White Oil should be stored at room temperatures or lower. Lithium Complex is very good in sealed bearings, especially in electric motors and pumps in sawmill kilns using very toxic material. It is also very good in alternators and in cables requiring a light grease. Since bringing our Super Red onto the market it has amazed our customers by its ability to cling to everything it comes into contact with and how small an amount of grease it takes to regrease, sometimes cutting grease used to 1/3. This is one reason all of our products cost less in the long term. Suitable for general servicing of all chassis, suspension and steering especially under severe and high shock loadings. High Temperature Self Levelling Grease. For self lubricating systems on trucks, tractors and machinery etc. Also used as Machinery grease for Cabinet-making, Joinery, Printing Plus Track Rollers on Bull dozers.